I’m new to the bird-watching hobby. It’s something I’ve always wanted to try, but have struggled to make time for. But when a health issue sidelined me this summer, it seemed like a good opportunity to try something new (and non-physical). So early one fall morning, binoculars and bird book in hand, I drove out to a quiet country road with a seasonal creek and big willows. And I watched birds. I thought I’d be like this guy. Observing a gigantic hummingbird - a discovery! Hurrah! The crisp, cool air frosted my breath. And I found my first subject, round bellied and still. My bird book at the ready, I pulled up my binoculars to focus in on a… robin. 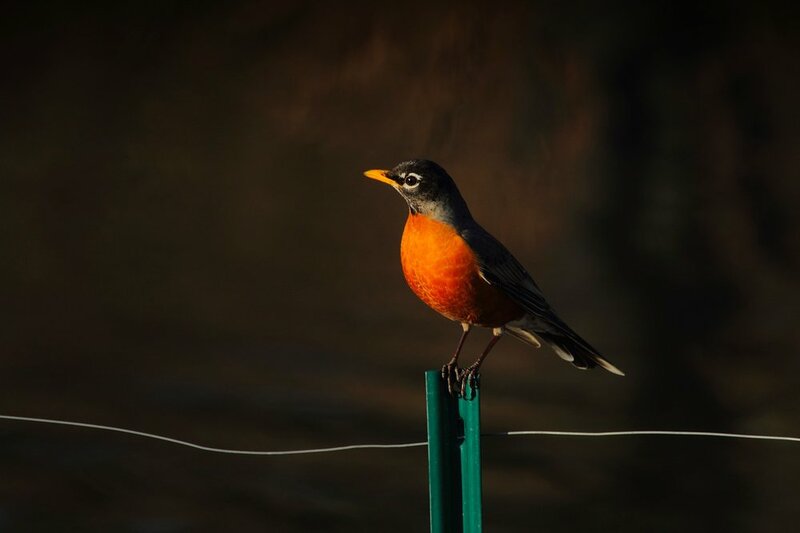 An American Robin, to be exact. I have to admit, I was hoping for something a bit more exotic. But a robin it was, and so the robin I watched. It gave its chirpy call, then flew its full-bellied flight to another limb. A few more robins appeared. And then some chickadees. Flitting among the branches, inquisitive and fast. Fun to watch but rather… mundane. 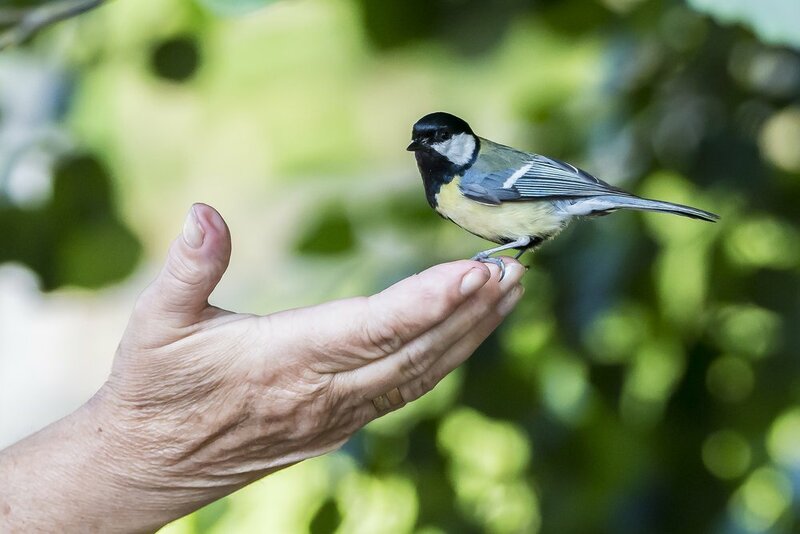 Chickadees are so common they’ll sit on your hand. Just not mine. I waited there for a good 40 minutes. Observing robins and chickadees. And I wondered: why did I drive out into the countryside to look at birds I could’ve observed from my own backyard? And then I remembered two things a real birder had told me. First, he said when you start out birding, you need to spend lots and lots of time observing common birds. In other words, robins and chickadees. Then, when you come across something different, you recognize immediately that it’s just that - different. 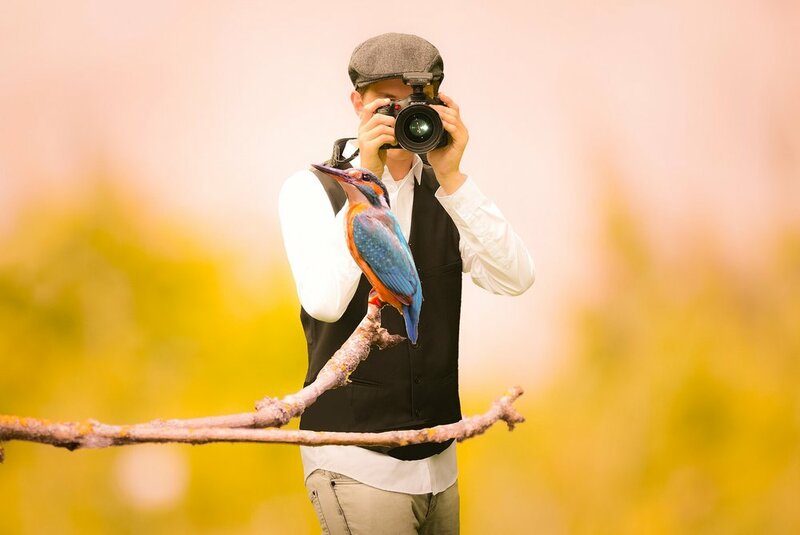 And second, he said that though he’d seen hundreds of species, his favorite bird was always, “Whichever one I’m looking at.” Because every bird is beautiful. You just have to take the time to look. I looked again at that robin. Then researched it on Wikipedia, surprised to learn a few things about these black and red birds. For instance: robins sleep in big groups at night (where does this happen and why have I never seen that? )… they keep their nests tidy and clean up after their young by carrying waste away… they aren’t duped like other birds into raising young from the eggs of parasitic cow birds… and they don’t mind people - they’re smart enough to realize we aren’t a threat. I watched the birds a bit longer, suddenly enjoying these common feathered friends. And resolved to never ignore the ordinary. Because even the ordinary, when you look at it close enough, turns out to be - you guessed it - extraordinary.